HASS FITNESS: WHY IS RUNNING THE BEST WAY TO LOSE WEIGHT? WHY IS RUNNING THE BEST WAY TO LOSE WEIGHT? If you’re already a runner, keep on keeping on. If you’re not a runner yet but interested in losing weight, here are four reasons running can be the best exercise for weight loss. High-intensity exercise like running stimulates more “after-burn” than low-intensity exercise. 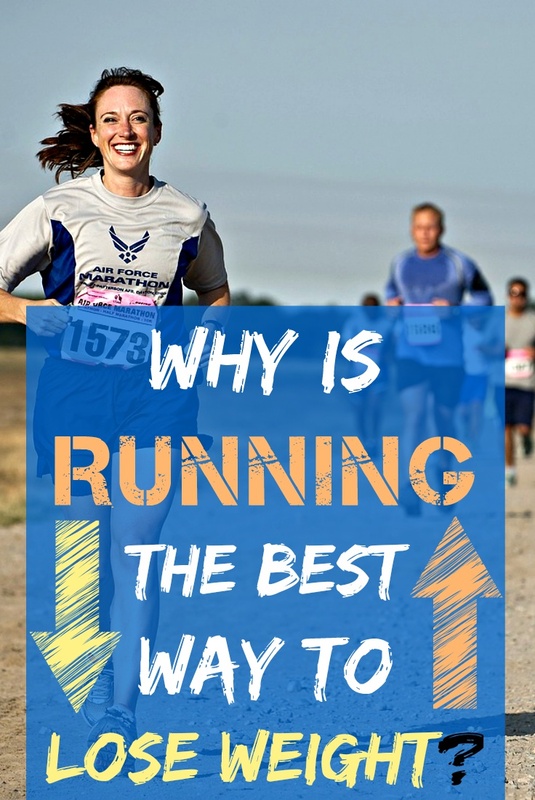 That is, even when comparing running with walking the same distance, studies find that running will lead to greater weight loss, most likely because your resting energy expenditure stays elevated after you run. In a long-term comparison study of runners and walkers, calories burned through running led to 90% more weight loss than calories burned through walking. Even if the myth that running a mile and walking a mile burn the same number of calories were true, running is a considerably faster way to burn those calories. Most people can run two or three times as far as they can walk in a given amount of time. At the other end of the spectrum, super-intense but short workouts, such as the "Scientific 7-minute Workout" from the HumanPerformance Institute, may burn more calories per minute per running, but because they're so short, your total caloric burn isn't as great as if you ran. Though many of us have accumulated a vast arsenal of GPS gadgets and tech tees over the years, little is actually required to go running. You can do it alone. You can do it almost anywhere. You don’t need any equipment beyond a pair of running shoes. For this reason alone, running is the best workout for weight loss because it’s cheap, it’s accessible, and there are fewer barriers to maintaining a routine, even while traveling. The first rule of exercising for weight loss is that if you don’t enjoy it, you won’t stick with it. Fortunately, studies support what many runners have experienced on an anecdotal level—running can actually get you high. Scientists have found links between moderate to intense exercise and morphine-like brain chemicals calledendocannabinoids, which suggest endorphins alone aren’t responsible for the occasional flood of euphoria that rushes over you during a hard run. That floaty, happy sensation you had after your last race—makes you want to go for another run, right? Understanding the most effective ways to run for weight loss before you start will help you avoid common mistakes—and get you the results you want. No matter which form of exercise you choose, it’s important to ease into your new exercise program. Increase the challenge level of your workouts gradually to lower injury risk and get the best results. This is especially true for running. As a high-impact activity, running causes more overuse injuries than other forms of cardio exercise. Ironically, the risk of injury is greatest for heavier men and women who are likely to run specifically for weight loss. Choosing a proper shoe can help to protect you against common injuries associated with your type of workout. Good shoes can lessen the impact of your step and cushion the foot from heavy landings. In addition, sport or exercise specific shoes can improve your performance, enabling, for example, quick direction changes. This makes walking a great tool to prepare your body for running. Your early workouts may consist entirely of walking or a mix of walking and running, depending on how ready your body is for running. As the weeks pass, tip the balance further and further toward running until you are comfortable doing straight runs. Bones, muscles and joints need time to recover from and adapt to the stress of running. For most beginners, one day is not enough time for these tissues to come back stronger. So limit your running to every other day for at least the first several weeks of your program. If you wish to exercise more frequently, do walks or non-impact workouts, such as cycling, between run days. To continue getting results from your running program, you need to run more. But if you increase your running volume too quickly, you are likely to become injured or overtired. The 10 percent rule is a good guideline for sensible running increases. To practice it, simply avoid increasing your total running distance or time by more than 10 percent from one week to the next.